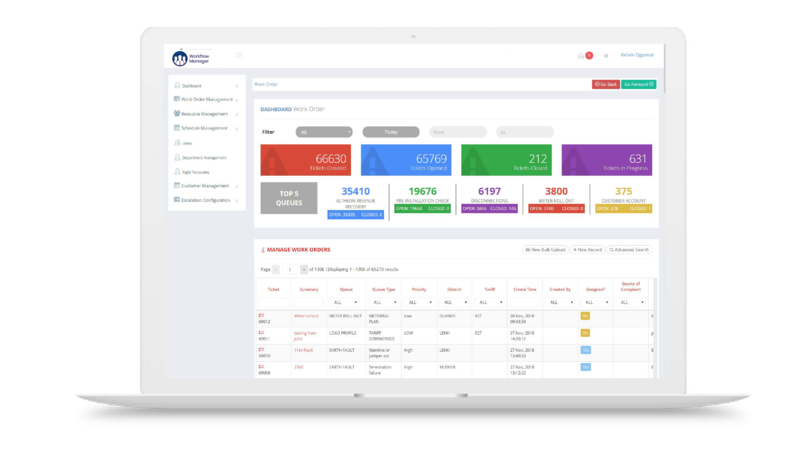 The CICOD Workflow Manager (WFM) is a flexible and fully integrated platform to the Business and Operation Support system for Service Fulfilment and Problem Handling. 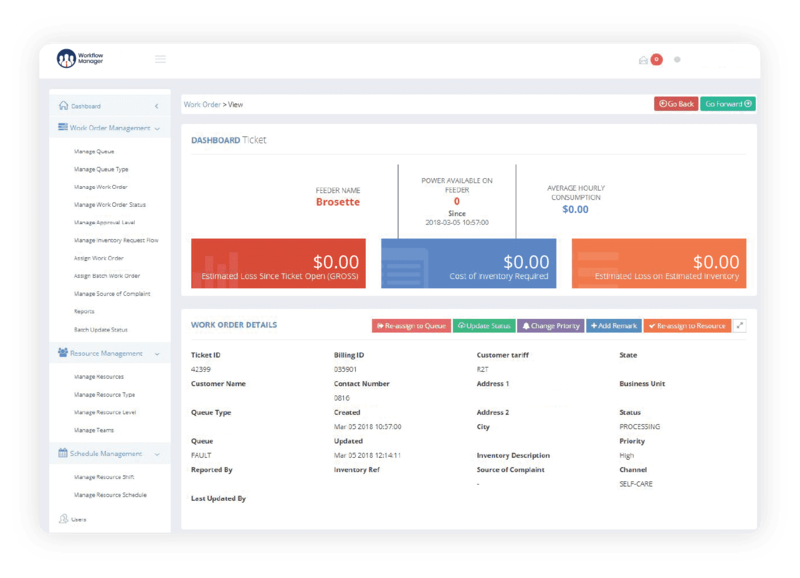 It enables the automation of approval-based business processes across departments and systems ranging from complaint handling, task management to inventory request management. The platform enables issue tracking and problem handling from point of initiation to resolution. 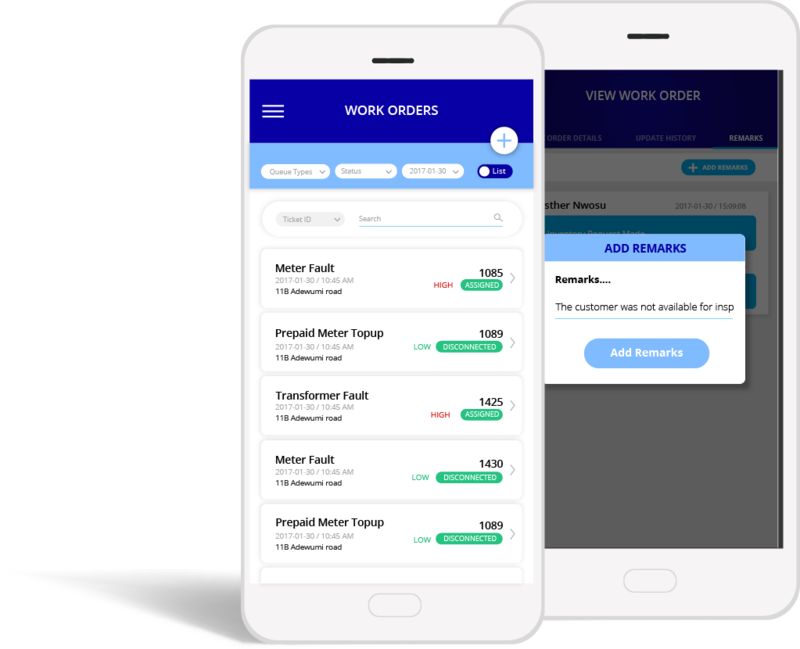 It gives updates to customers on the progress made, provides access to customer details such as billing information, payment invoice and ticket list and can assign work orders to various resources for resolution. WFM sets up your business departments and processes as Queues and Queue Types. 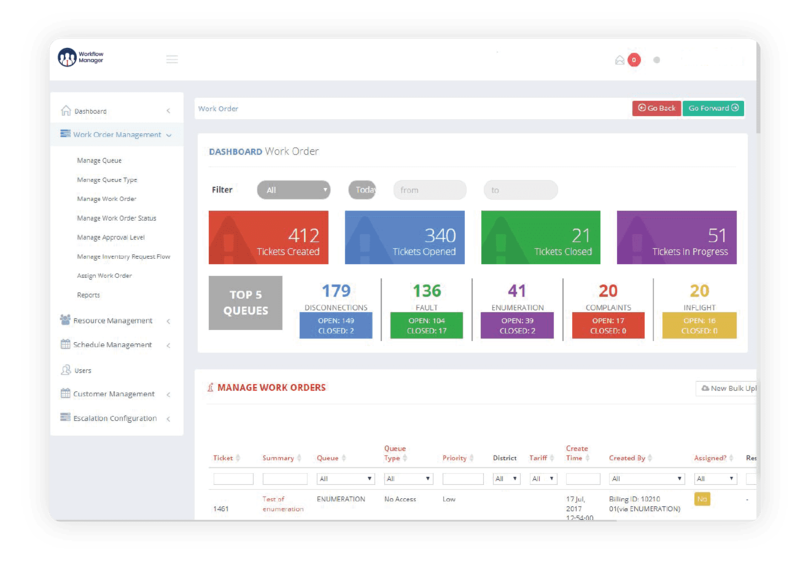 This will enable work orders to be raised and assigned to a resource for specific business processes and tasks. These work orders can be tracked using a special identifier such as Ticket Number. 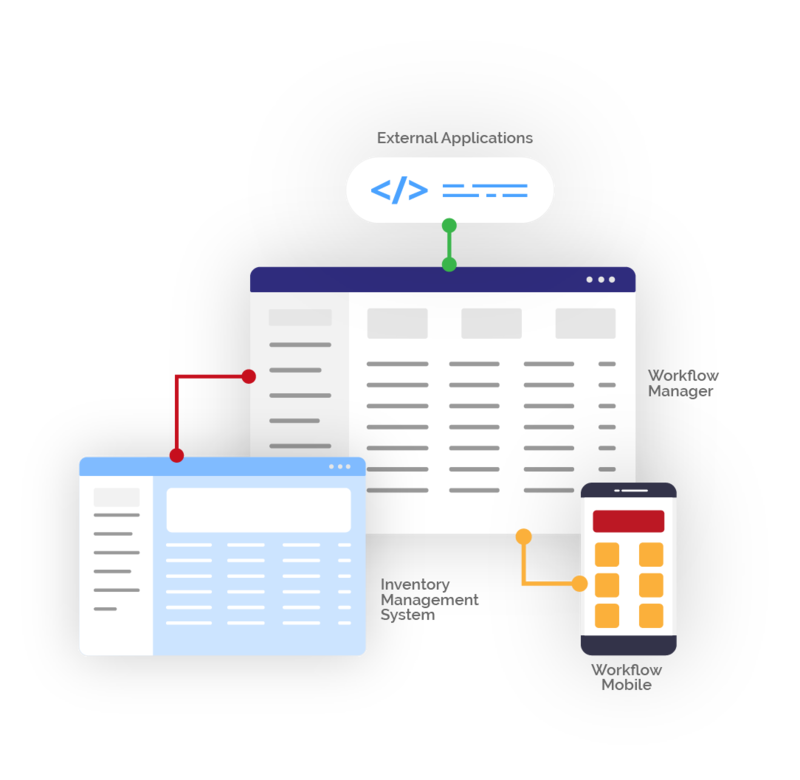 When resources are assigned to specific queues and queue types, your business can measure detailed performance for a specific resource doing specific task at a specific time. Resources can be easily and effectively allocated to specific tasks. 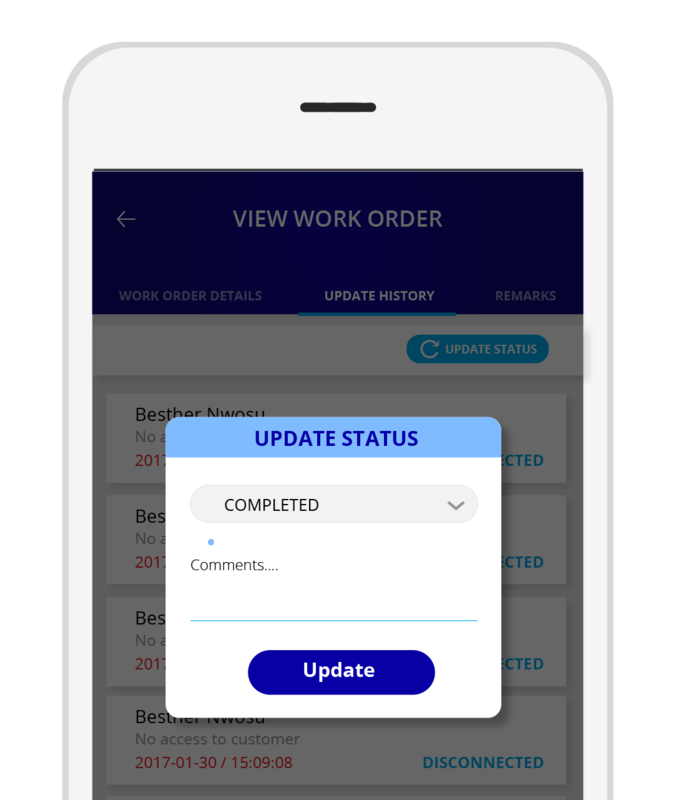 Business workflow can also be managed by setting up Statuses to track the progress of a work order from the point of initiation to resolution. When work orders are left unattended or remain in a certain status within a set time-period based on Service Level Agreement (SLA), WFM can specify multiple users to be notified. Specify which users are to be notified via email, when work orders are left unattended to or remain in a certain status within a set time-period based on Service Level Agreement. 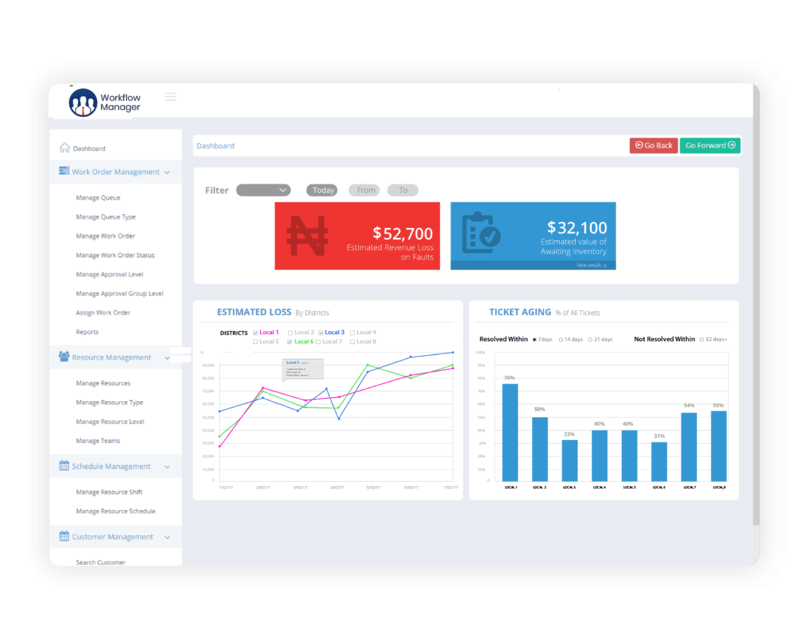 Dashboard view and reports are generated such that Key Performance Indicators (KPIs) can be known. This gives companies areas of focus for strategic and operational improvement. Easy assign of tasks to resources. Easy assign of tasks in queues for a fast and efficient resolution. Track and resolve issues faster. Clear issued ticket numbers for easy identification and tracking. Efficient communication with team members on tasks and tickets. Efficient communication with team members, external stakeholders and customers on tasks and tickets. Easy management of data files. Transparent management of inventory for different levels of approvals. Management of customer issues to excellent customer satisfaction. Management of teams to ensure tasks are performed on-time. Comprehensive management of tasks to ensure that tasks are completed and schedules are shared and communicated with relevant resources. Management of assets for best use of human resources. Workflow Mobile (WFM Mobile) is a mobile application utilized by users on the move. WFM Mobile is an add-on product for standard WFM.